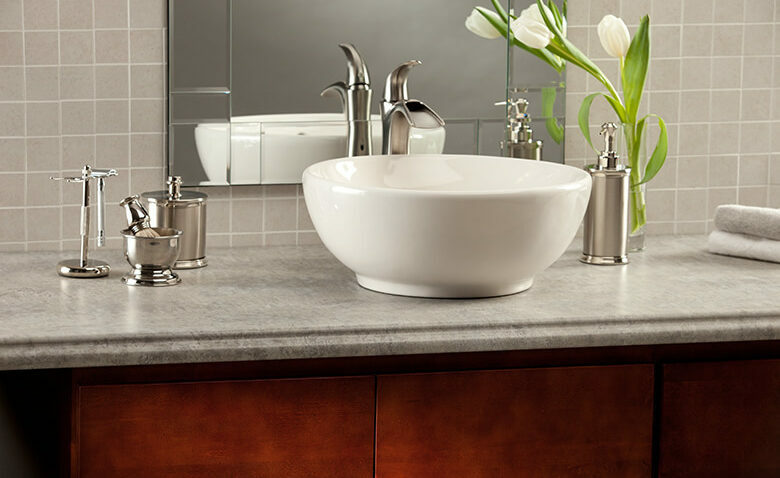 Afton Edge countertops are special order countertops that take approximately 2 weeks with any Wilsonart and Formica laminate color and can be ordered for kitchens, vanities, single rolls, and bars. Standard backsplash height of 3 3/4″. Decorative edge is on both sides of the countertop length. Reversible contoured splashes are placed on top of the countertop where there’s wall on the left or right side. End Caps are L shaped laminate pieces that cover the exposed left or right side of kitchen and vanity countertops with a backsplash. Edging is 2″ strips that are used for exposed countertop edges wider than 25 1/2″ and in lengths of approximately 8′, 10′, and 12′.